Finally, a natural substance to kill weeds that is easy and effective! Picking weeds in Arizona is tough business. Spraying weeds with chemicals that harm our earth and our gardens is even tougher business. The Garden Guy has introduced me to a natural method that really works. You just need to buy a few ingredients, put in a spray bottle and you’re good to go. Put ingredients in plastic heavy duty spray bottle, shake up and spray directly on anything you want to eliminate. DO NOT spray on anything you want to live!! Join our mail list and get a Free Recipe Book! Send me a free Get Healthy Makeover Course by Linda Curry! You can improve your life on all levels. 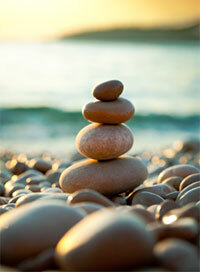 Learn more about our Holistic Health Counseling services. Linda Curry is a Phoenix-based author, speaker, nutritionist, and founder of True Balance Wellness. Her compassionate, dedicated and simple approach to health and nutrition has garnered her a loyal and attentive following among those seeking healthful, balanced lives. Linda shares her knowledge through personal counseling, group classes, books, recipes and her blog. Follow Linda to a healthier, more natural way of life! Join our mail list and get a Free Health Class. Discover natural healing and health products that will support you on all levels.